A pilot repackaging campaign for obsolete stocks of DDT and associated waste started at Anorzor, in Khatlon Oblast, Southern Tajikistan. The repackaging campaign is organized in the frame of the project Demonstrating and scaling up sustainable alternatives to DDT for the control of vector borne diseases in Southern Caucasus and Central Asia (DDT Project). Together with the Committee for Environmental Protection under the Government of the Republic of Tajikistan, UNEP project partners Milieukontakt International and Green Cross Switzerland selected Anorzor as a priority site for this repackaging campaign. Repackaging works are carried out by the Governmental Committee for Emergencies and supervised by Veolia International Field Services from Cardiff in the UK in cooperation with its Greek partner Antipollution SA. At Anorzor much more pesticides were buried than originally estimated by project partners. Some 80 tonnes are transported to the new central storage facility at Vakhsh burial site, awaiting final destruction in the frame of follow-on projects. Milieukontakt and Green Cross Switzerland are implementing the DDT Project in the region for the United Nations Environment Programme (UNEP) and the Global Environment Facility (GEF). An awareness raising campaign started in Kumsangir rayon, Southern Tajikistan to warn the local population about the environmental and health risks of obsolete pesticides. 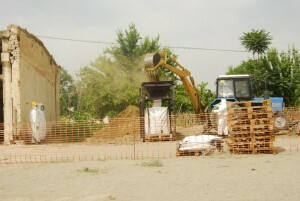 A pilot repackaging campaign for obsolete stocks of DDT and associated waste is being prepared for the old pesticides storage facility Anorzor in Kumsangir. The site is prioritized as a hot-spot location in the frame of the project Demonstrating and scaling up sustainable alternatives to DDT for the control of vector borne diseases in Southern Caucasus and Central Asia (DDT Project). Awareness raising activities are carried out by the Kumsangir Arhus center NGO “Mochi munir” in cooperation with Milieukontakt. 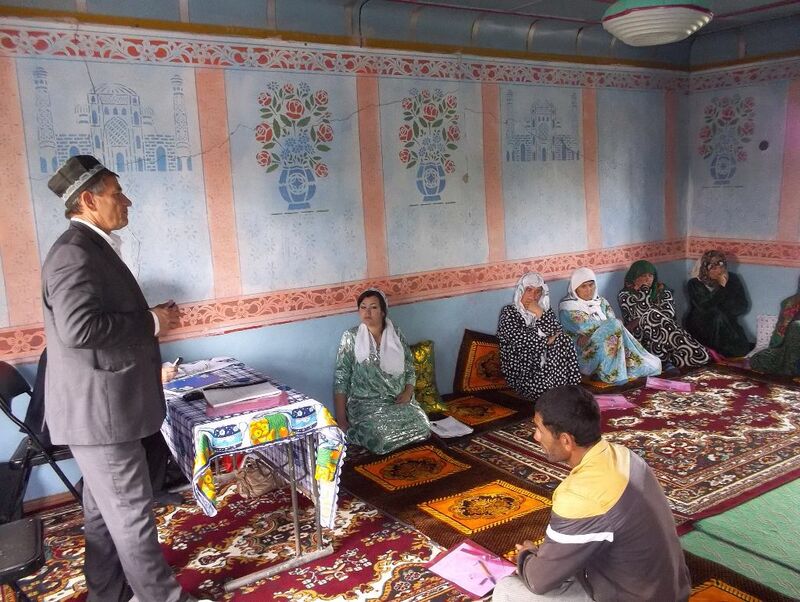 Due to poverty and a lack of awareness of the health risks from obsolete pesticides, local people in Tajikistan have been using DDT from different storage facilities and burial sites in the country. An intermediate collection centre (ICC) for obsolete pesticides is ready for use at Vakhsh Burial Site in Khatlon Oblast, Southern Tajikistan. The storage centre is built in the frame of the project Demonstrating and scaling up sustainable alternatives to DDT for the control of vector borne diseases in Southern Caucasus and Central Asia (DDT Project). 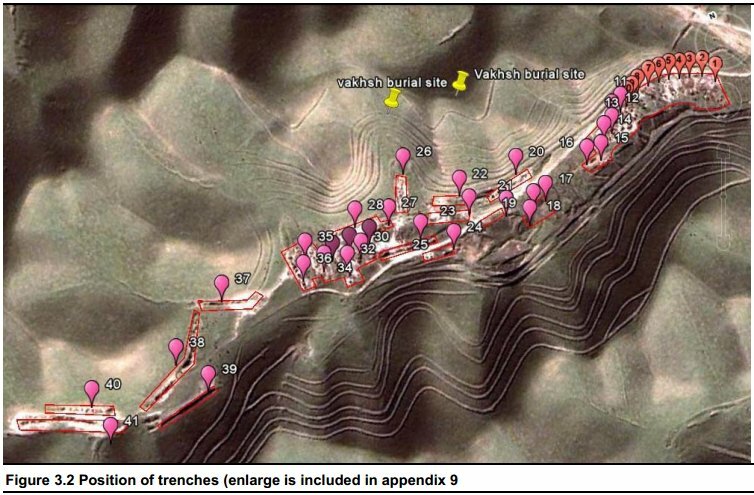 Vakhsh Burial site is one of the most problematic obsolete pesticides hot-spots in Central Asia that reportedly contains 4000 tonnes of obsolete pesticides including large volumes of DDT. For many years the site was abandoned and unguarded. 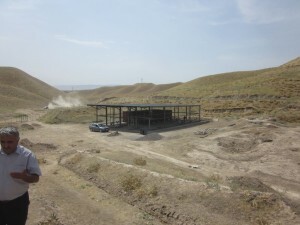 After the collapse of the Soviet Union, Tajik authorities were not able to maintain Vakhsh well and illegal waste extraction became a daily practice. Even today DDT is openly available at local markets. The chemicals are used as an affordable alternative to the expensive modern plant protection products, but also because ‘nothing works better.’ All this time cattle had free access to the burial site and free access to the heavily polluted standing water in excavation pits. 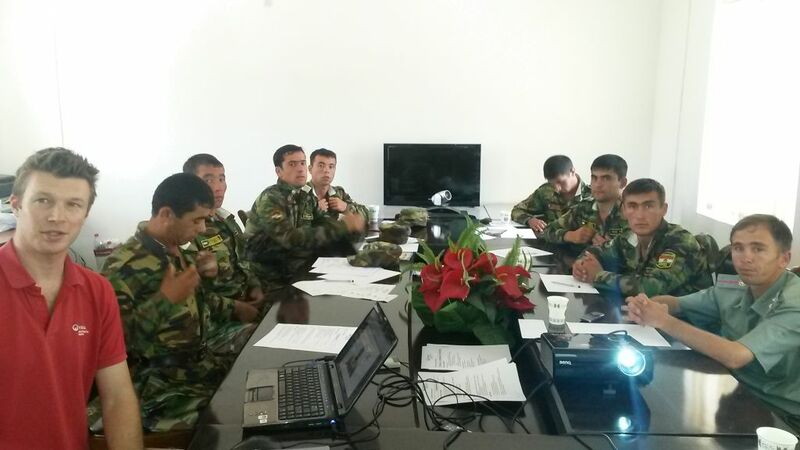 Intensive training of a Tajik Governmental Committee for Emergencies team in the repackaging of obsolete pesticides has started on Friday 12 June in Khatlon Oblast, Southern Tajikistan. 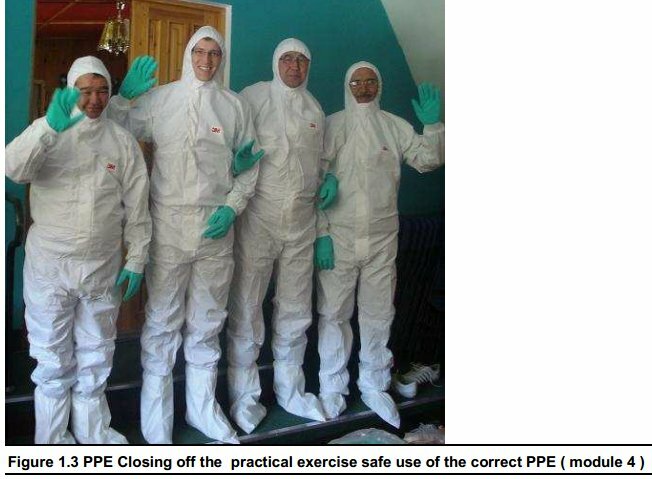 The training is provided in the frame of the project Demonstrating and Scaling Up Sustainable Alternatives to DDT for the control of vector borne diseases in Southern Caucasus and Central Asia. Milieukontakt and Green Cross Switzerland are the implementing this project in the region for the United Nations Environment Programme (UNEP) and the Global Environment Facility (GEF). Repackaging of 65 tonnes prioritized DDT will be carried out later this month under supervision of Veolia International Field Services from Cardiff in the UK. A national inventory of obsolete pesticide stocks in Tajikistan, recently carried out by FAO Turkey, demonstrated that there are a lot of mixed-unknown stocks in the country. In order to prepare well for repackaging and subsequent destruction of the obsolete pesticides it is necessary to identify the different substances. In the frame of the GEF UNEP DDT project Demonstrating and Scaling Up Sustainable Alternatives to DDT for the Control of Vector Borne Diseases in Southern Caucasus and Central Asia, Milieukontakt went to Tajikistan in December to sample two sites where repackaging of 60 tonnes of DDT and associated waste is planned to take place this spring. The samples are currently being analyzed at RIKILT laboratory at Wageningen University, The Netherlands. 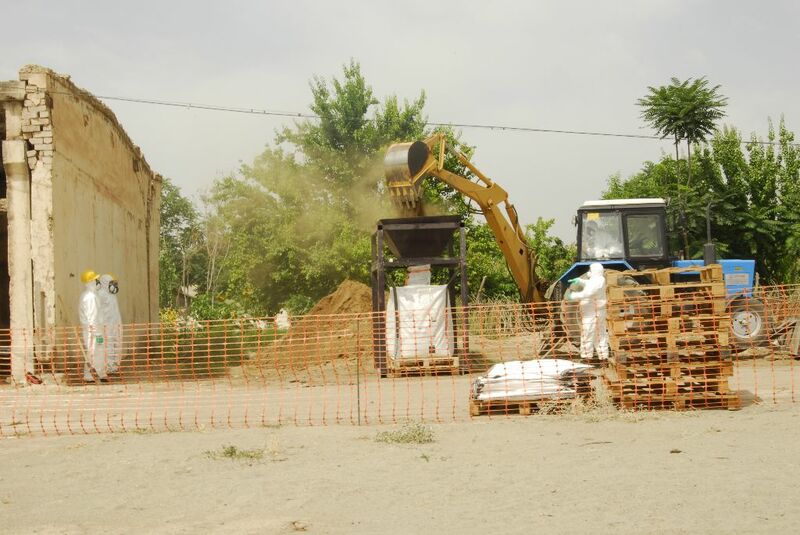 Together with the Committee for Environmental Protection under the Government of the Republic of Tajikistan, Milieukontakt and project partners are preparing the construction of an Intermediate Central Storage to store the repacked pesticides. Ultimate destruction of the stocks will have to be carried out by future projects. On 11 and 12 November 2013 the second Steering Committee Meeting of the project Improved pesticides and chemicals management in the former Soviet Union was organised in the Ukrainian capital Kiev. This EC/FAO partnership project is implemented in cooperation with Blacksmith Institute, Green Cross Belarus, Green Cross Switzerland, the International HCH and Pesticides Association (IHPA), and Milieukontakt International. 11 и 12 ноября 2013 года в столице Украины- Киеве состоялось второе Совещание Руководящего Комитета по Улучшенному управлению пестицидами и химическими веществами в странах бывшего Советского Союза. Этот партнерский проект EC/FAO был выполнен при участии Института Блэксмита, Белорусского Зеленого Креста, Швейцарского Зеленого Креста, Международной ассоциации по ГХГ и пестицидам (IHPA) и Милёуконтакта Интернэшнл. 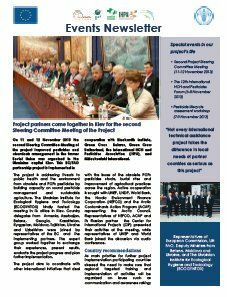 The 12th International HCH and Pesticides Forum met in Kiev from 6-8 November 2013. The Forum took note of the overall slow progress of elimination of Obsolete Pesticides, their negative impact on countries socio-economic performance, the severe adverse effects on health and quality of life, as well as its far-reaching consequences to neighbours with shared water resources. 6-8 ноября 2013 года в Киеве состоялся ХII Форум Международной ассоциации по ГХГ и пестицидам (IHPA). На Форуме обсуждался прогресс, достигнутый в уничтожении устаревших пестицидов, их отрицательное влияние на социально-экономическую жизнь страны и неблагоприятное воздействие на здоровье и качество жизни населения, а также далеко идущие последствия для соседних стран с общими водными ресурсами. plans based on results of regional studies completed in 2013. Представители из 10 стран Восточной Европы, Кавказа и Центральной Азии (ВЕКЦА) участвовали в семинаре, проводимом ФАО в Институте экогигиены и токсикологии им. Л.И.Медведя в Киеве, Украина, по разработке плана будущих действий на основании региональных исследований, завершенных в 2013 году. Tauw, Witteveen and Bos, the International HCH and Pesticides Association, Milieukontakt and Green Cross – Switzerland publish the interim reports of the Obsolete Pesticides Technical Study in the Kyrgyz Republic, the Republic of Tajikistan, and the Republic of Uzbekistan. The project is financed by the Canada Persistent Organic Pollutants Fund, through the World Bank. Local representatives from Milieukontakt in Kyrgyzstan and Tajikistan and from Green Cross in Uzbekistan coordinate the project from Bishkek, Dushanbe and Tashkent.